In the world of psychological assessment, the Wechsler Intelligence Scales are considered to be the gold standard measures of intellectual functioning. 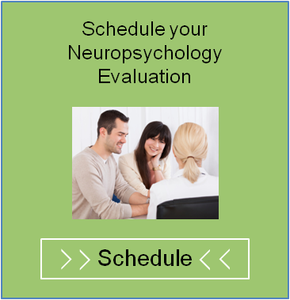 The assessments represent over 70 years of research and subsequent revisions that reflect advancements in neurodevelopmental and neurocognitive research, psychology, technology, and changes in population. (Wechsler, 2014). Together, a Full Scale Intelligent Quotient (FSIQ) is developed. When large discrepancies are identified between the indices which comprise a child’s FSIQ, alternative scores can be calculated to best capture a child’s cognitive profile. Alternative scores may be considered when deficits in language, attention, or motivation appear to have negatively impacted a child’s overall performance. Through the analysis of the general and specific domains of cognitive functioning, clinicians are better able to make informed decisions regarding diagnostic conceptualization and treatment recommendations. VCI: The VCI measures verbal reasoning, understanding, concept formation, in addition to a child’s fund of knowledge and crystallized intelligence. Crystallized intelligence is the knowledge a child has acquired over his or her lifespan through experiences and learning. The core subtests which comprise the VCI require youth to define pictures or vocabulary words, and describe how words are conceptually related. Children with expressive and/or receptive language deficits often exhibit poorer performance on the VCI. Studies have also indicated that a child’s vocabulary knowledge is related to the development of reading abilities, and as such, weaker performance on tasks involving vocabulary may signal an academic area of difficulty. VSI: The VSI measures a child’s nonverbal reasoning and concept formation, visual perception and organization, visual-motor coordination, ability to analyze and synthesize abstract information, and distinguish figure-ground in visual stimuli. Specifically, the core subtests of the VSI require that a child use mental rotation and visualization in order to build a geometric design to match a model with and without the presence of blocks. Children with visual-spatial deficits may exhibit difficulty on tasks involving mathematics, building a model from an instruction sheet, or differentiating visual stimuli and figure ground on a computer screen. FRI: The FRI assesses a child’s quantitative reasoning, classification and spatial ability, knowledge of part to whole relationships. It also evaluates a child’s fluid reasoning abilities, which is the ability to solve novel problems independent of previous knowledge. The core tasks which make up the FRI require that a child choose an option to complete an incomplete matrix or series, and view a scale with missing weight(s) in order to select an option that would keep the scale balanced. A child with fluid reasoning deficits may have difficulty understanding relationships between concepts, and as such, may generalize concepts learned. They may also struggle when asked to solve a problem after the content has changed, or when question is expressed differently from how a child was taught (e.g., setting up a math problem by using information in a word problem). Difficulties with inductive reasoning can also manifest as challenges identifying an underlying rule or procedure. WMI: The WMI evaluates a child’s ability to sustain auditory attention, concentrate, and exert mental control. Children are asked to repeat numbers read aloud by the evaluator in a particular order, and have memory for pictures previously presented. Deficits in working memory often suggest that children will require repetition when learning new information, as they exhibit difficulties taking information in short-term memory, manipulating it, and producing a response at a level comparable to their same age peers. It is also not uncommon for youth with self-regulatory challenges, as observed in Attention-Deficit/Hyperactivity Disorder (ADHD) to present with difficulties in working memory and processing speed (noted below). PSI: The PSI estimates how quickly and accurately a child is able to process information. Youth are asked to engage in tasks involving motor coordination, visual processing, and search skills under time constraints. Assuming processing speed difficulties are not related to delays in visual-motor functioning, weaker performance on the tasks which comprise the core subtests of the PSI indicate that a child will require additional time to process information and complete their work. In the academic context, school-based accommodations may include allowing a child to take unfinished assignments home, focusing on the quality of work over quantity, shortening tasks, and allowing extended time. In summary, IQ is more than one aspect of functioning and encapsulates several factors described above. As a result, it is often more helpful to assess the indices which comprise a child’s FSIQ separately in order to best inform treatment and intervention.